Probiotics are important in maintaining our gut flora, but they can still cause issues just like any supplement and most issues with supplementation go unreported on the natural health blogosphere. Everyone writes about the pros of taking probiotics, but what are the cons? The cons of taking probiotics is the topic of this upcoming blog series. The following blog entry is going to tackle histamine and probiotics. H1 – blood vessel dilation, smooth muscle contraction of the bronchi and GI tract, stimulation of vagus nerve, increases histamine and arachidonic acid release, decreased AV node conduction of the heart, helps form nitric oxide, improves eosinophil function. H2 – stimulates nasal and intestinal mucosa, relaxes the LES, increases vascular permeability, stimulation of suppressor T cells, increases stomach acid production, reduces neutrophil and basophil function, increases lymphocytes, increases activity of NK cells. H3 – increases histamine in the brain as a neurotransmitter, suppresses norepinephrine release at parasympathetic nerve endings, stimulates nasal mucus, reduces bronchoconstriction and gastric acid. H4 – enhances the function of eosinophils, mast cells, and neutrophils. As you can see different receptors have differing effects on our digestive health, which is why it is important for its production and activation and deactivation of certain receptors to be in balance. The body needs the correct balance of the compound so that your digestive system, immune system, neurotransmitter system, cardiovascular system, and nervous system work properly. Proper ingestion of omega 3 fatty acids (fresh fish only),5 extra virgin olive oil (as long as you are not sensitive to salicylates), vitamin B6,6 magnesium,7 and vitamin C8 can help the body maintain proper histamine balance. Some people also require taking mast cell stabilizers like quercetin (use with caution if you have a COMT mutation), or cromoglicic acid to help improve histamine intolerance symptoms. If you are suffering from having a histamine imbalance, you should try a histamine reduced diet to see if your issues improve. Proper sunlight exposure and vitamin D production may help with histamine intolerance as well. Finally, some people supplement directly with the DAO enzyme which breaks down histamine in the body with differing success. If you are supplementing probiotics and have histamine issues, you should only supplement histamine-degrading probiotics instead of histamine-producing probiotics until the imbalance corrects itself. The intestines and stomach for proper function require histamine. It is unknown if these probiotics increase levels in vivo in humans, I would still limit them if needed. Histamine-producing probiotics should not be used until the body can maintain proper levels of the compound. Hi I am going to try Lactobacillus salvirus . One of the articles from Alison says in 2017 the studies found out it increase histamine . Is it true ? What about the most common probiotic, L. Acidophilus? Is that a degrader or a producer? Also, I’m having difficulty finding info about L. Paracasei. Thanks! My 13 year old son has very bad seasonal allergies. We just had him tested again at the allergist and every grass, pollen, apples and now dogs and cats. 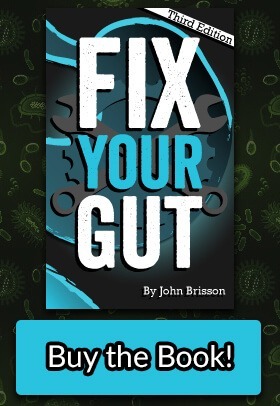 I have him on immune strengthening natural supplements but have been looking for the right probiotic as I believe it’s his gut that is the cause. Do you think Gut Pro would be a good fit for him. Hi Linda- Did you try Gut Pro? Did it work for your son? I am on the same boat trying to find something for my son. Longum produces IL-10 which allegedly causes mast cells to degranulate. You have to be careful. What benefits T1 often worsens T2 and vice versa. I started these last week. Die off or reaction or lactate reaction? I noticed my tablets include both modulators and degraders, would this be an advantage with these strains so it can offset histamine production? Omg, no wonder why I’ve felt SO ill eating fermented foods. I thought it was some sort of die-off reaction so I kept piling on more fermented foods and became even more ill.
Actually, I was doing okay with sauerkraut and kimchi. It wasn’t until I started drinking a cultured drink that contains Bacillus Coagulans that I ran into major issues: racing heart, palpitations, swelling in throat, confusion, nasal stuffiness. I read another article that said there is nothing to counteract histamine when it’s ingested as food. Now, I will wait patiently and pray for these symptoms to go away as soon as possible. Do you think taking Gutpro will help degrade some of this? Yes, L-plantarum would degrade histamine so it might be worth a try. I am struggling with HIT (likely caused by SIBO), and have been taking a supplement that combines Quercetin, Vitamkn C, and Bromelain for symptom relief. However, I am also homozygous for COMT. Why must someone with this mutation use quercetin with caution? Further explanation of this would be greatly appreciated!!! Thanks! What about taking a combo of modulators and degraders, found in “new roots” product for children? Probiotics deliver positive results in nearly all cases of allergies. They can reduce the severity of hives, hay fever, asthma and food allergies. In the final instance, the good bacteria strengthen the intestinal lining and reduce the sensitivity of the gut to foods that could potentially cause irritation/intolerances. l. gasseri is bad for me. my dermatographia and hair loss – both histamine related – get worse. same with l rhamnosus. 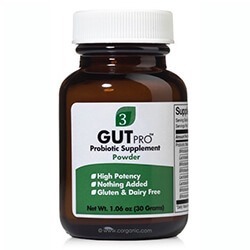 Thank you so much for recommending two brands of Probiotic Supplements Without Histamine Producing Bacteria, I just have a question which I hope you can help me answer at best: Is GutPro better than BM? Or BM better or they’re just the same (both organic?). 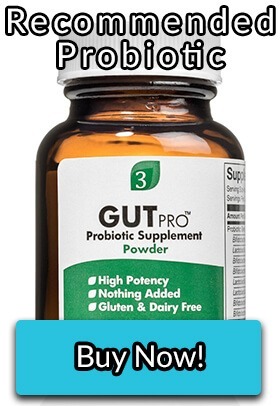 I like GutPro more because its description informed me more about the ingredients (I am allergic to additives in other probiotics brands and having histamine intolerance at its slight effects), and I saw less on the BM website. However, since I’m not living in US (I’m Vietnamese) and the GutPro cannot be kept outside the refrigerator, and I saw that BM can be kept outside the refrigerator for several weeks with no decline in potency, so I’m thinking of buying it (it usually takes 10 days for me to receive the products bought from your country US), but I don’t really know if they are as good as GutPro, because I’m kinda worried about some ingredients they didn’t tell on their website which “maybe” I can be allergic to. I hope you can help me. Thank you so much. Wish you the best. 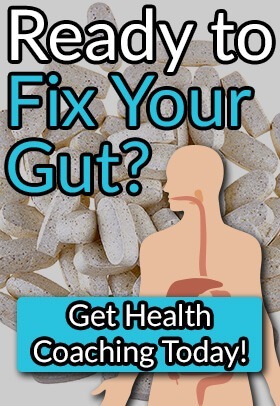 It depends on Th reactions to probiotics: https://fixyourgut.com/why-supplementing-with-probiotics-may-make-you-ill-part-5-th1-th2-immune-reactions/. BM would have less of a Th1 response, so it maybe better for people with Th1 inflammation. BM would survive in the heat better as well. Hi – I have Mast Cell Disorder and blood tests just showed sky high histamine levels. With a normal lab range of 2-8, my level was “>138”; it was too high for the assay to even quantify beyond the 138! I have HORRIBLE, life-altering symptoms including anaphylaxis at times. I’ve been on a VERY strict low histamine diet for 6 months, and notice very little difference in my symptoms. I’ve just read that it’s possible that I’m still heavily reacting to even “safe” foods because of potential SIBO and the histamine that my gut is constantly producing. I want to be clear on this (since a mistake could send me into anaphylaxis)…1) Taking the histamine degrading strains (especially the infantis, longum, and plantarum strains) should heal my gut if I have excess histamine there, correct? 2) Does one simply take the dosage listed on the bottles (or are higher dosages needed to correct histamine overload)? 3) How long should I give this supplementation a try before I decide if it’s working or not? 4) With this supplementation, Is there a “die-off period” whereby my symptoms will get worse before they get better? Thanks! Histamine intolerance and MCD is more complex than only the gut for most people (even though the gut is a BIG factor.) I cannot give you a 100% safe answer to your questions and I would run everything by a doctor first. First off, vitamin C, rutin, and quercetin supplementation might reduce histamine. 1. Not necessarily, we do not know if the strains even implant in most cases, they may or may not help. 2. Start with low doses, then titrate up depending on symptoms. 3. You will know in a few weeks. 4. For most people yes, die off occurs either from microbiome shift of the immune response from dead probiotics. What about histamine producing foods? Slightly different, but my dog suffers with IBS and epilepsy. 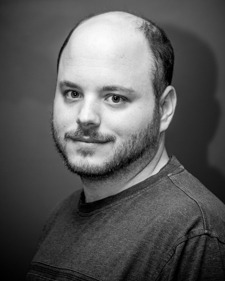 To cut a long story short, his IBS started when he was 6 weeks old…and 3 years later he started seizing. I have been trying to get through to the vet (and homeopath) that there is a gut and neurological connection, but neither will listen to me. So I been researching for 3 years. And I keep coming back to the gut and ‘brain’ connection. But do not know what to change as it’s a dog. Any ideas?? Good question. High histamine foods include: cured meats, not very fresh fish, fermented foods, vinegar, cheese, avocados, eggplants, spinach, tomatoes, chocolate, bananas, dried fruits, strawberries, papayas, milk, nuts and egg white. Fresh meat, egg yolks, butter, and grains like white rice might be tolerated by the dog. Good chart for reference: http://www.histaminintoleranz.ch/download/SIGHI-FoodCompatibilityList_HIT%28EN%29.pdf. Many dogs have grain intolerances. Try putting him on a grain free food. Gluten is a common intolerance for dogs. I have met people who had dogs with a gluten intolerance. The symptoms of that can vary greatly, but biochemically dogs, other mammals and people have a lot of similarity. Medications that are used for dogs are usually the same ones used for people just in different dosages and under different names for example. It is true that dogs and people differ greatly in dietary requirements; however dogs evolved from animals (supposedly wolves) that are primarily just meat eaters. They are not evolved by any means to eat grains. Please put your dog on a grain free food and see if it helps his symptoms. As with a human it will probably take 90 days for his gut to heal once he is off of whatever foods he is intolerant to; A difference in symptoms should be noticeable though within 2-4 weeks. I say use the same method on your dog that is recommended for Humans–Test him by changing his diet to a food that doesn’t have ingredients that he is likely to have an intolerance to and wait 4 weeks to see if his symptoms disappear. I also say get him GMO free food. When people or animals have a leaky gut the pesticide from GMO’s can get into the blood stream and some cases it can pass the blood brain barrier. Sometimes when a person or an animal has leaky gut they get what is called leaky brain syndrome (google leaky brain and Dr Perlmutter) It’s a real thing. Anyways the point is foods with harmful additives or pesticides can be especially damaging to a person or animal with leaky gut. If you think your dog has leaky gut test him by putting him on a grain free diet with no harmful additives and no GMO’s. Do your research in the UK about homeopathic vets who use bowel nosodes.